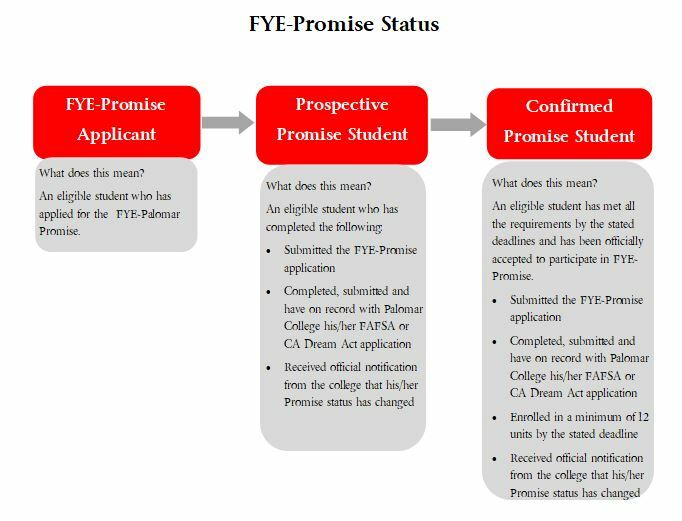 There are three stages in the FYE-Promise application process: (1) FYE-Promise Applicant, (2) Prospective Promise Student, and (3) Confirmed Promise student. 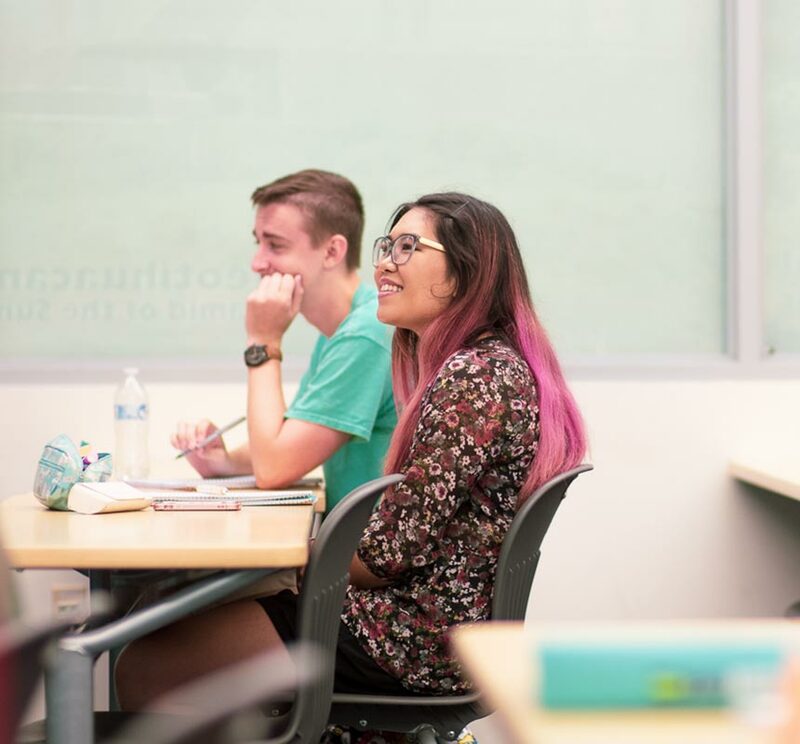 Students will receive an official notification via their Palomar student email that their FYE-Promise status has been updated. Please check your email frequently for updates. 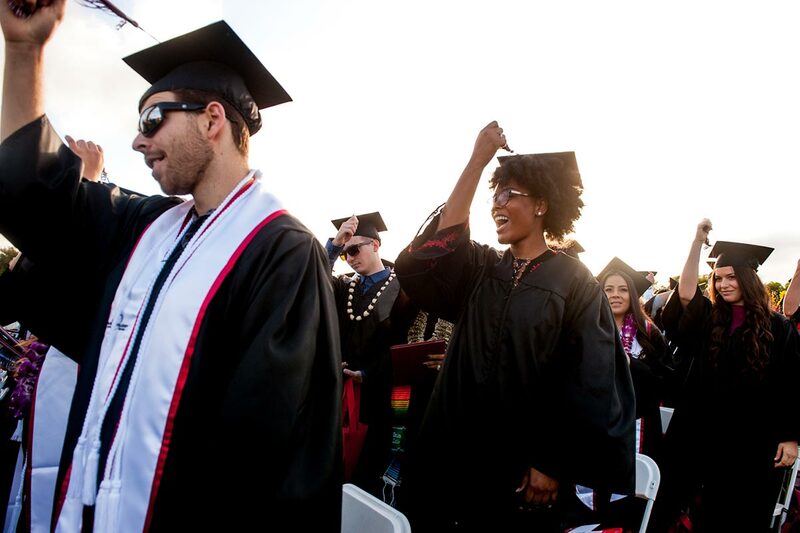 In addition, the FYE-Palomar Promise status displayed on MyPalomar (eServices – Student Center screen) will be updated to reflect the current status.